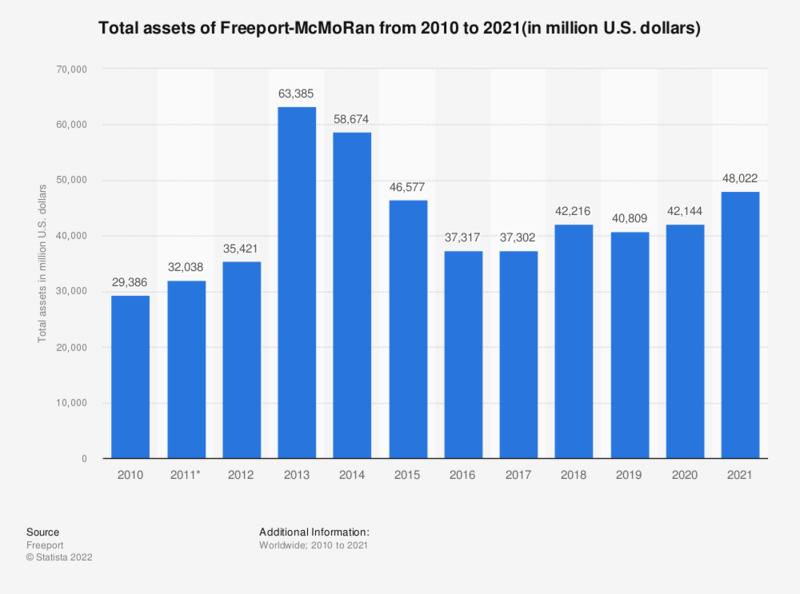 This statistic depicts Freeport-McMoRan's total assets from 2005 to 2018. Freeport-McMoRan Copper & Gold is one of the world's leading producers of gold and copper. Freeport-McMoRan is based in Phoenix, Arizona. In 2018, the company's total assets came to approximately 42.2 billion U.S. dollars. * As of 2015, Freeport-McMoRan has adopted new accounting standards. As such, the revenue figures from 2011 to 2014 were adjusted to reflect this.